Does Changing the Clocks Give You Seasonal Jet Lag? Are you up early or sleeping late with clock change ‘jet lag’? It can take a few days for our body to adjust to even an hour’s change as moving our clocks in either direction changes the principal time cue — light — for setting and resetting our 24-hour natural cycle, or circadian rhythm. In doing so, our internal clock becomes out of sync or mismatched and we can feel detached, tired and a bit moody, a bit like when you get off a plane! Each of our organs has a specific time it’s at its peak energy and this can be disrupted by the clock change. 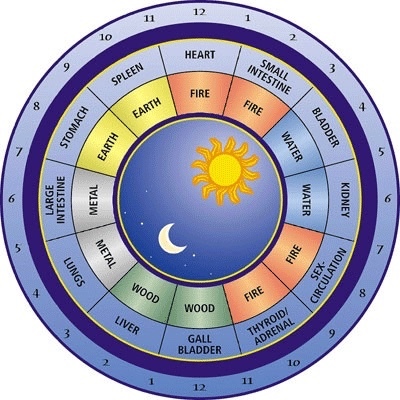 By bringing attention to the organs and their meridians (energy lines) we can help reset their clocks through seasonal yoga, or more specifically, a body clock flow which runs through all the organs from the new hour and finishes on the organ at the correct time. This will rebalance our circadian rhythm and help us feel more energised and connected with the season!